The Michael A. Ruddo Foundation recently presented Beebe Healthcare’s Tunnell Cancer Center with a check for $10,000 from the proceeds of the 9th Annual Mike A. Ruddo Golf Invitational held on Friday, May 12, 2017. The annual tournament is held at the Ocean City Golf Club in Berlin, Maryland on the Friday before Mother’s Day. 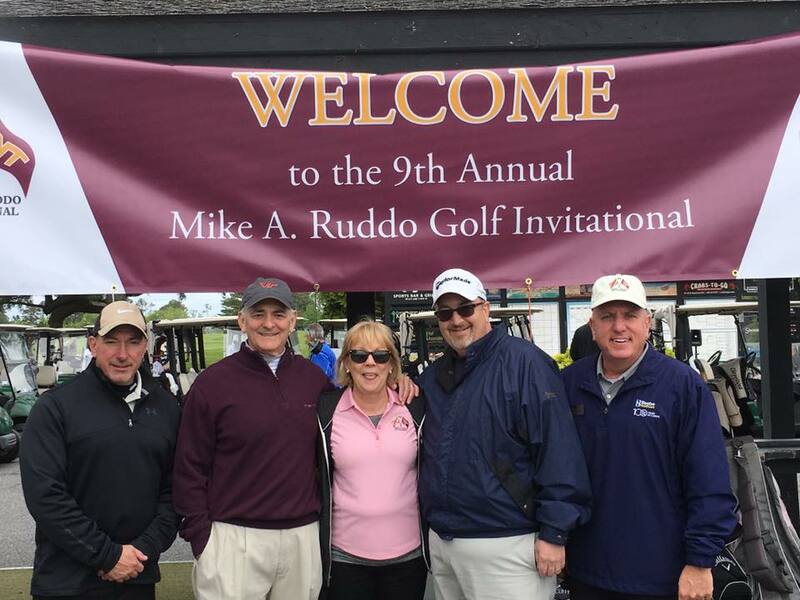 The Michael A. Ruddo Foundation was established in memory of Mike Ruddo who received cancer treatment at Beebe Healthcare’s Tunnell Cancer Center. The mission of the Ruddo Foundation is to raise funds for Beebe’s Tunnell Cancer Center in response to the excellent and compassionate care Mr. Ruddo and his family received while he was a patient. Since its inception, the Ruddo Foundation has donated over $80,000 in an endowment fund established in Mr. Ruddo’s name. This endowment allows the clinical team at the Tunnell Cancer Center to continue to provide the same level of care and compassion they gave Mr. Ruddo during his treatment and will provide income in perpetuity to meet the continuing needs of future patients. Every year, Mike’s wife, Mabel and her children and grandchildren participate in playing and helping at the event. To learn more about ways to support and give to Beebe Healthcare and the Tunnell Cancer Center, or to have your event directly benefit the Tunnell Cancer Center, contact Beebe Medical Foundation at (302) 644-2900 or visit online at www.beebemedicalfoundation.org. Photo 1: (Shown left to right) Paul Pernice, Chief Financial Officer of Beebe Healthcare; Jeff Fried, President and CEO of Beebe Healthcare; Judy Aliquo, President and CEO of Beebe Medical Foundation; Rick Schaffner, Chief Operating Officer of Beebe Healthcare; and Tom Protack, Vice President of Development of Beebe Medical Foundation. Photo 2: (Shown left to right) Mabel Ruddo; Tom Protack, Vice President of Development of Beebe Medical Foundation; and Judy Aliquo, President and CEO of Beebe Medical Foundation.